The HTC One is beginning to be old news, so it’s time we start focusing on the possible future offering from the hurting Android manufacturer. The One showed people that the company wasn’t completely out of great ideas, and for the most part, the One is a fantastic device. 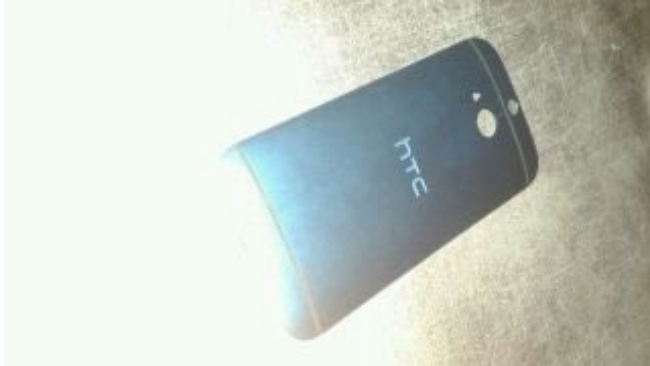 So, can HTC keep it up with the One’s successor, rumored to be the M8, that should be unveiled in the first half of 2014? 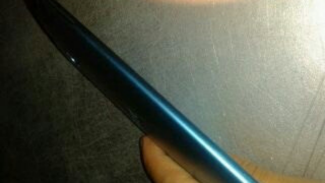 Thanks to ePrice, these photos could be the first we have seen of the rumored M8, the successor to the One. In terms of what we are seeing so far, it appears that the M8 features a wrapped metal body, instead of the separated metal that we see on the One. As in, there is no plastic band surrounding the device. 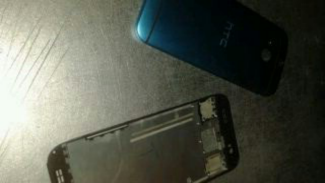 Beyond this blueish tint metal chassis, it looks like HTC decided to drill an additional hole above the camera along the backside. Could this be a fingerprint scanner? Another camera sensor? It appears to be pretty small for a fingerprint scanner, but that’s apparently what others in the industry are leaning towards. Of course, there is just no way to be certain this early in the game. ePrice also posted some rumored specs, which points to the device featuring a Snapdragon 800 chip, 3GB of RAM, and the all new Sense 6.0 skin UI. The pictures don’t offer much else, but let us know what you think so far. A full metal chassis would be pretty boss, but just like the One, you should expect this device to be quite heavy in hand. Throw down some ideas on HTC could make a better device down below.